Another week has flown by, in which I spent the majority of it up in Auckland where I saw Michael Buble in concert (it was amazing!) It was also a full week of posts, so if you haven't seen them all, links are below, so do a bit of Sunday night reading and do the catch up! The release of these new and limited edition Real Techniques palettes was so exciting that I brought both! Review and swatches, as always included. The Night Owl palette is the darker offering from Real Techniques and it is just as gorgeous as the Modern Natural ones - I hope RT bring out some more makeup products in the future. Sephora + minis = a match made in heaven. This kit included nail polishes and coordinating lip products from all the big brands available at Sephora. OPI do some great collaborations and the Muppets Most Wanted collection has some beauts. I picked up two of the glitters because I can't resist shiny things. I can't resist a good online shop on Beauty Joint and got some amazing products, that you need to see the swatches of! Another 'Cheap eBay Find' in the form of a very similar looking brush that NARS have in their collection, but at a fraction of the price. As always I hope everyone had a blimen' splendid week! 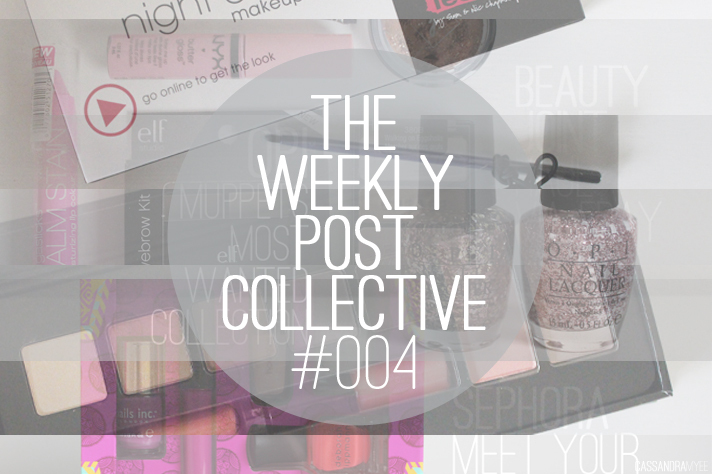 What was your favourite post from the week?